Trump said those being investigated will eventually be seen as "heroes." The morning after Robert Mueller's prosecutors accused the president's former campaign chairman, Paul Manafort, of lying and breaking his cooperation agreement with the special counsel, President Donald Trump took to Twitter on Tuesday to criticize the probe as a "Phony Witch Hunt" that's doing "TREMENDOUS damage to our Criminal Justice System." The president described Mueller as "only looking at one side and not the other" and said his team is "ruining lives for them refusing to lie." "Heroes will come of this," Trump said. 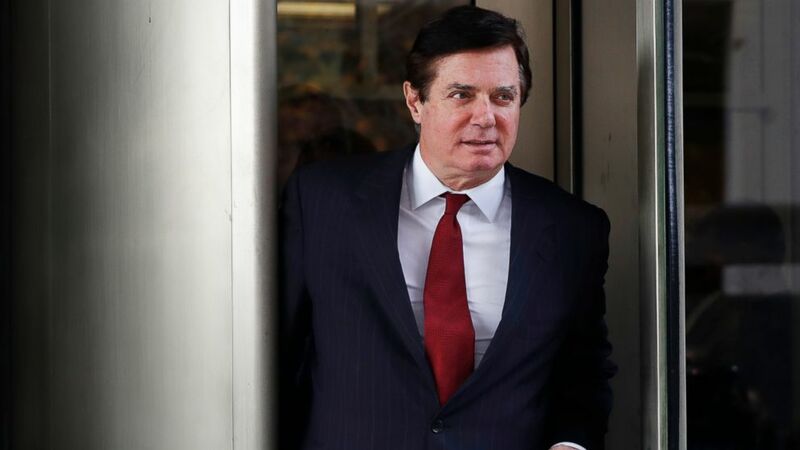 Manafort, who agreed to cooperate with the special counsel and had been fielding questions from them since September, was convicted of financial crimes in late August, marking the first major prosecution won by Mueller's team in the investigation into Russian meddling in the 2016 election. Trump said the Mueller investigation, which the Justice Department said in May had cost about $17 million as of the end of March, has produced "nothing but ruined lives." Press secretary Sarah Sanders said at a press briefing Tuesday that she is “not aware of any conversations for anyone’s pardon involved" in the Mueller probe. The president has previously expressed sympathy for Manafort's legal woes, even comparing how he's been treated to the infamous mobster Al Capone, and pointing to his case as one piece of what he sees as a broader "witch hunt" to hurt Trump and his allies. "I feel very badly for Paul Manafort," Trump has said of his former campaign chairman. "I must tell you that Paul Manafort is a good man. He was with Ronald Reagan. He was with a lot of different people over the years. And I feel very sad about that. It doesn't involve me, but I still feel -- you know, it's a very sad thing that happened. This has nothing to do with Russian collusion. This started as Russian collusion. This has absolutely nothing to do -- this is a witch hunt, and it's a disgrace," Trump told reporters in August. In expressing sympathy for Manafort, Trump has expressed particular admiration for the fact that Manafort stood trial as opposed to "flipping" to secure a more lenient deal with Mueller's team, a concept that the president has suggested should be illegal. "One of the reasons I respect Paul Manafort so much is he went through that trial," Trump said in an interview with FOX News in August. "This whole thing about flipping, they call it. I know all about flipping -- for 30, 40 years I've been watching flippers. Everything's wonderful and then they get 10 years in jail and they flip on whoever the next highest one is or as high as you can go. It almost ought to be outlawed. It's not fair." When Manafort was found guilty on eight counts, including five on tax fraud, Trump at the time took to Twitter to declare that he had "such respect for a brave man!" 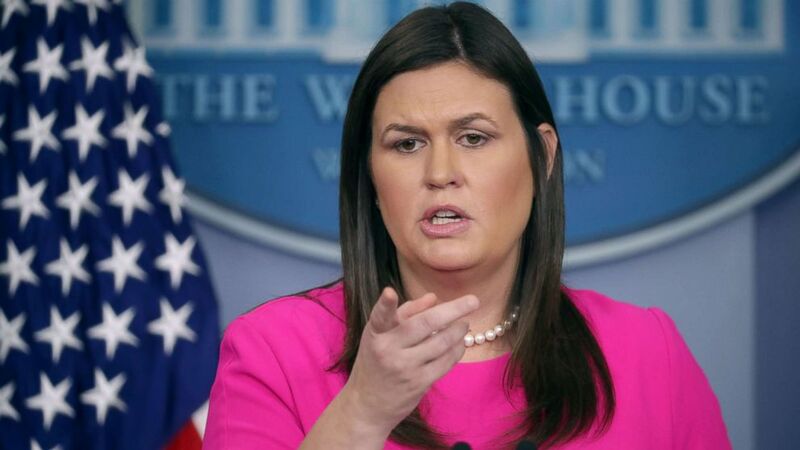 Asked by ABC's Jonathan Karl at Tuesday's briefing whether the president is considering having his acting attorney general fire Mueller given his tweet earlier in the day accusing Mueller of "ruining people's lives," Sanders said the president currently has “no intent” of doing so. “Look, I think that the president has had Bob Mueller doing his job for the last two years and he could have taken action at any point and he hasn’t so we’ll let that speak for itself,” Sanders said. Asked whether Trump is concerned about the final report that Mueller's team is expected to produce once the investigation wraps -- and whether it might become public -- Sanders said the president doesn't have "any concerns" about what it might say because "there was no wrongdoing by him." ABC News' Alex Mallin, Katherine Faulders, John Santucci and Matthew Mosk contributed to this report.